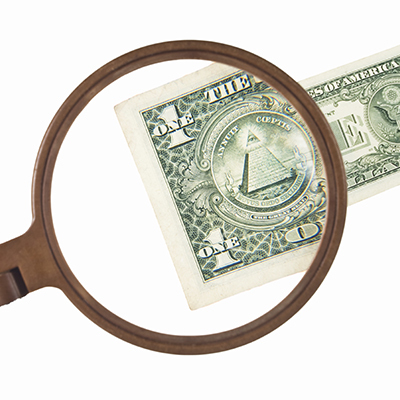 AMLtrac is our award-winning Anti Money Laundering Software and counterterrorist financing solution. It is a complete, multi-branch, multi-layered, language independent solution for banks and other financial institutions. AMLtrac is dedicated to identifying, tracking and regulating potentially suspicious or illegal activities or the proceeds of crime. An AMLtrac installation comprises a selection of modules that match the exact requirements of your business. Modules may be mixed and matched into any logical combination and you can add new modules at a later stage without financial penalty. AMLtrac integrates seamlessly into iBank and BankWare. It also works with any existing back-office legacy system acting as a complementary extension to it. To find out more about AMLtrac our anti money-laundering software simply fill in your details on the right-hand side of this page and we will get in touch without delay. The Know Your Customer (KYC) and Document Management module is a centralised data repository for all of the elements (associated individuals, associated companies etc.) that constitute a single customer relationship with your organisation. Entity risk weightings are automatically calculated based on risk values associated with designated risk factors. AMLtrac enables you to scan and store relevant user defined documents relating to the relationship and will warn you if there is insufficient documentation. It automatically scans against government sanction lists (e.g. OFAC, UK, DFAT and others) at the time of customer on boarding and can be configured to check against third-party lists for the purposes of PEP, SOE, adverse media etc. Importantly it rescans the entire KYC data repository without manual intervention every time a list changes. Relationships are automatically diarised for regular review dependent upon entity type and risk weighting. Account monitoring and transaction tracking creates a single virtual tracking account for each relationship through which all transactions flow where they are then compared to turnover and transaction profiles established at the time of customer on boarding. Behaviour rules can also be defined by the user. All exceptions are reported to the Alert Management System to be actioned and resolved. Published APIs mean that AMTT interfaces into any back-office system and, often, multiple back-office systems simultaneously. SWIFT Message Screening checks all inbound and outbound SWIFT messages in real-time and compares them against government sanction lists (OFAC, UK, DFAT) and third-party lists for like sounding names. Messages are also screened for sanctioned countries and banned words. Messages which fail screening checks are quarantined for multiple levels of human interaction concerning their ultimate fate. The use of the Own Approved List minimises false-positives and the use of the Own Sanction List improves internal controls. The Alert Management System is AMLtrac’s case management tool where every alert, whether manually or automatically raised, is recorded and dealt with. Cases are allocated to the CRM or designated individuals by the MLRO to be dealt with and closed. All actions undertaken by the case manager, and correspondence received, are recorded and stored in the case journal giving a complete audit trail of every action taken. A series of tools are available from the AMS Console for the MLRO to be able to see and manage new, allocated and overdue cases putting him/her in complete control of the institution’s AML risk. The Screening and Filtering Engine (SAFE) is used by, and is essential to, KYC, NameChecker and SWIFT message screening. It can also be used on a stand-alone basis by those companies that wish to screen a file of names as a batch at periodic intervals. FATCA Reporting takes data from multiple back-office systems and consolidates it to create the necessary FATCA export files in the prescribed XML format. To be able to produce the export file it needs to see, and be able to identify, movements across the relevant accounts and also to see the SWIFT messages to enable it to be able to identify payments to NCFFI’s. The Cash Remittance module is aimed at institutions that have a walk-in customer base who regularly remit cash to known beneficiaries. It is ideally suited to small money bureaus. There is visual identification of the remitter at the time of initiating the transaction. Limits are placed upon the remitter and beneficiary both daily and over a time period. The remitter and beneficiary details are screened against the government sanctioned lists at the time of initiating the payment and it is held, but not advised, if hits occur. Published APIs into the back-office system enable accepted payments to be processed on an STP basis. AMLtrac provides Dashboards of essential information enabling you to be totally in control of the compliance risk at all times and to give senior management and the regulators peace of mind.